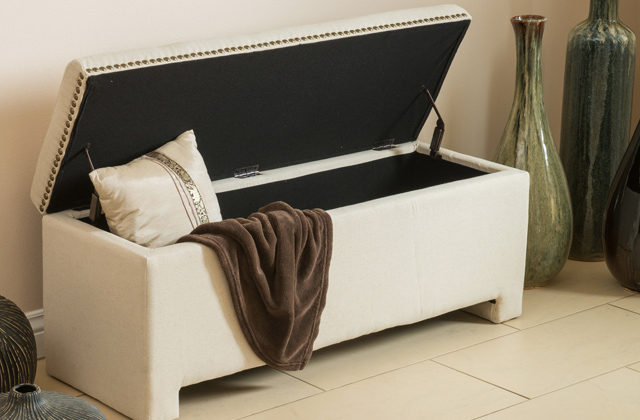 The rack comes with a soft bench that can also be used as additional storage space for your footwear or bags. You might need extra assistance to put the rack together. This exquisite antique coat rack bench offers the ideal storage for lots of entryway essentials. 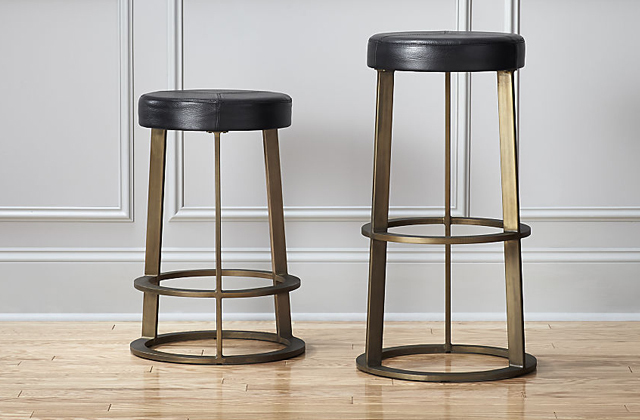 Perfect for classic style entryways or halls. Thanks to the rotating top, you can always get an easy access to all your clothes, even if the rack is in a corner. The umbrella holder could be a bit roomier. 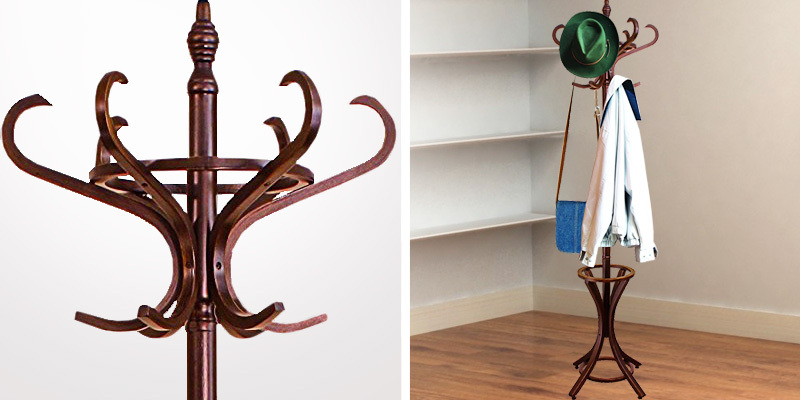 Rustic and chic, this wooden rack with decorative scrolls can hold not only outer clothing but umbrellas as well. Being equipped with small sturdy hooks, this wall rack allows you to organize your keys, handbags, and other small accessories as well. The included mounting hardware seems lacking in quality. BirdRock Home wall-mounted rack in minimalist design will be an excellent addition to your cozy interior. 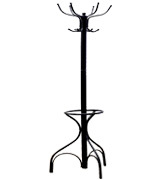 This floor rack is extremely sturdy and has a broad umbrella stand to hold lots of garments and accessories. Due to the broad bottom stand, it will take quite some space. Even when fully loaded, this metal rack will stay stable. Excellent for winter coats and other heavy clothing. You can fold in the hooks when the rack isn't in use. It's available in 7 different colors and 3-, 5-, or 8-hook design to suit any interior. The drilling template might be inaccurate and not match the holes on the rack. Hi-tech Umbra rack is the perfect organizer for any room; its flip down hooks can casually cradle garments, handbags, dog leashes, towels and other similar stuff. 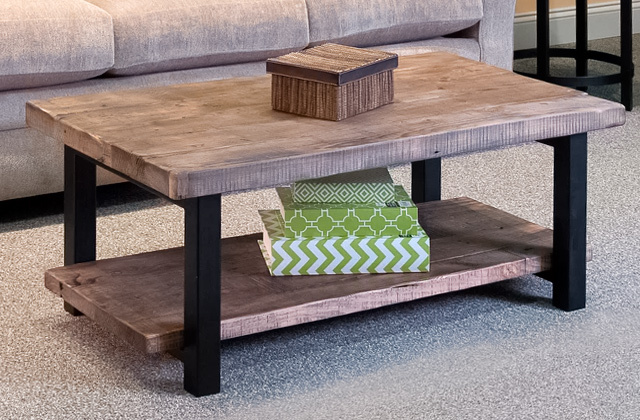 Southern Enterprises rack is an elegant piece of furniture made of durable metal and finished with textured black varnish. It has 12 hooks for clothing and a top shelf for umbrellas, dog leashes, hats, scarves, gloves, and other small accessories. If you wish, you can even put your favorite flower pots on this shelf to further decorate your entryway. 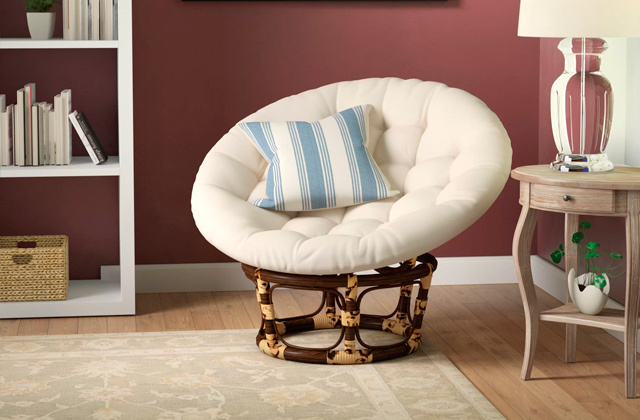 It's more than just a coat hanger for it comes with a comfortable soft bench. Now, coming back home after a long shopping trip, you can put your heavy package on the bench and not on the floor, seat nearby, and restfully take off your shoes and jacket. 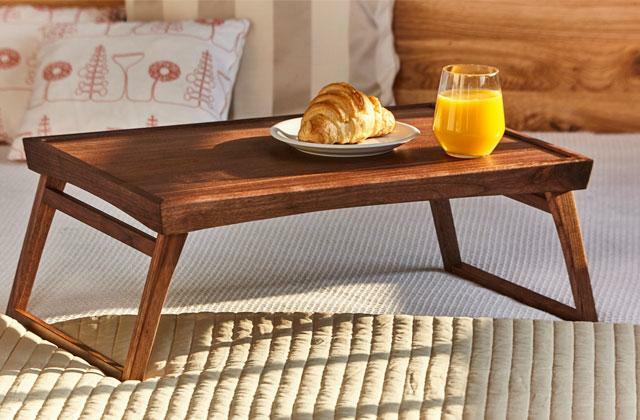 Thanks to the metal frame, the bench can withstand up to 250 pounds. However, if you don't need a soft seat, you can simply remove the padding and put your bag on the newly-fledged shelf. Under this shelf, you can compactly store, for example, roller skates or other similar stuff. This coat hanger is very easy to assemble. You can put it together in less than 30 minutes. It neither requires attaching anything to a wall nor leaves holes. It takes very little space and fits in a narrow entryway very well. 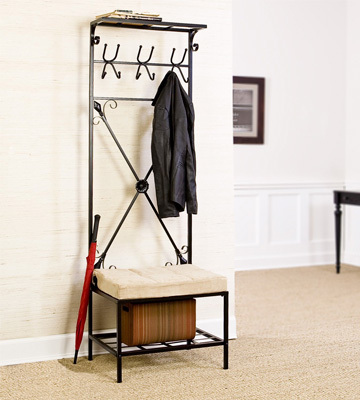 In a word, Southern Enterprises multifunctional clothes rack has a classic design and will surely find its place in any entry hall, mudroom, or dressing area. 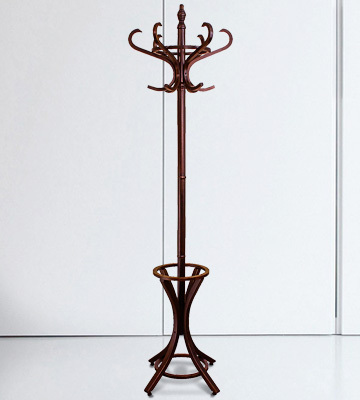 Headbourne 8000 coat hanger stand is charming in its simplicity. It's made of Pine wood and finished with Dark Walnut varnish. 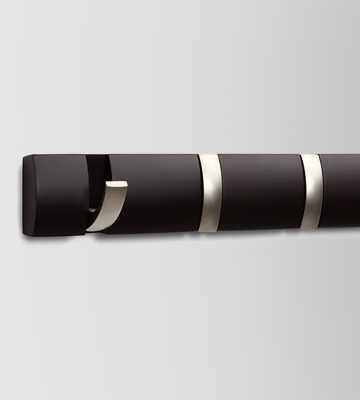 These materials in combination with the classy design and supreme build quality make this model a wonderful bargain. 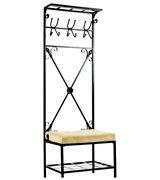 The rack features two tiers of hooks - the lower is best for outer garments and upper is great for hats and caps. You can get easy access to any jacket, coat, scarf, or hat even when the rack is tucked into a corner since it has a spinning top. The bottom umbrella stand is divided into four sections so that your guests and family members can neatly organize their accessories. 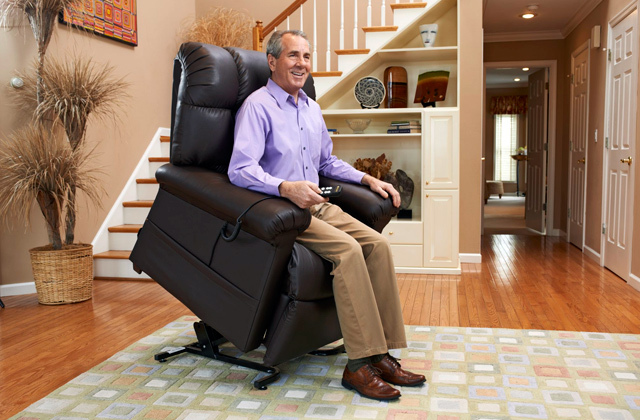 This model is pretty compact and can easily fit in tight corners and narrow halls. Being 73 inch high, it allows you to hang long coats and other outwear. 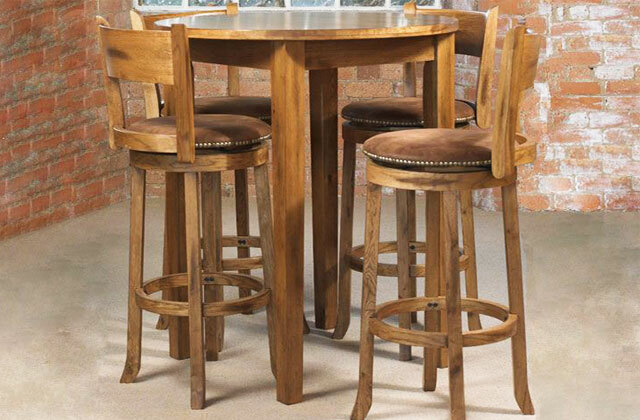 Its broad four-legged base ensures maximum stability and special pads on the legs will save your floor from scratches. The rack comes with all installation hardware, and the assembly will take you no more than half an hour. 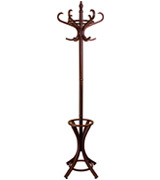 This classy hall tree is available in Dark Walnut, Light Pine, and White designs to add a chic touch to any interior. If the floor space is an issue for you, consider this simple wall-mounted rack from BirdRock Home company. 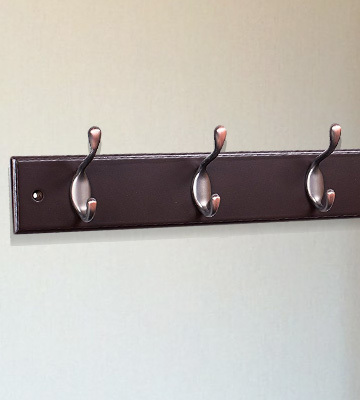 It boasts a solid metal base with an attractive brown wood-like finish and six bronze hooks (you can also choose an option with 4 hooks if you need to organize fewer coats). A design like this will definitely blend in nicely with the classic interior. The rack isn't bulky at all, its length makes 27 inches whereas its thickness is about 3 inches. It has 3 mounting screw holes and comes with all the necessary hardware and installation instructions. The mounting doesn't require much effort, and you can easily install the rack anywhere on a flat wall within 10-25 minutes. It might seem that the rack is rather small, but six hooks offer storage space for up to 12 garments and accessories. 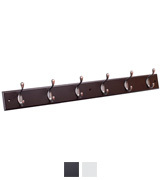 We would also like to point out that this wall coat rack is available in Satin Nickel/Black and Satin Nickel/White colors. 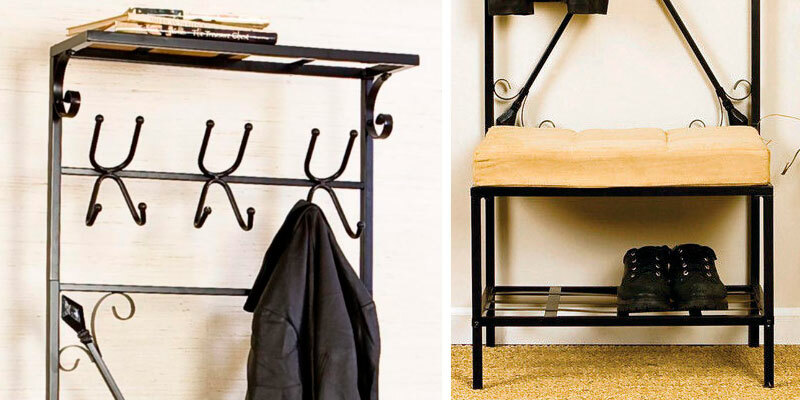 Overall, such a good looking coat hanger rack is a great alternative to those bulky plain floor stands. Hang it, and forget about it! 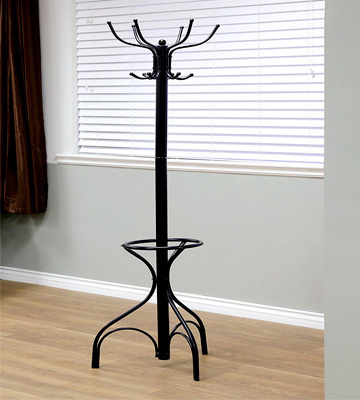 Frenchi Home Furnishing tree coat rack is extremely durable as it's produced from sturdy metal and finished with a high-quality black varnish. 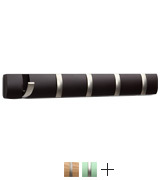 The finish makes the rack waterproof and allows you to hang even damp coats. The top includes 12 hooks arranged on two levels. The lower hooks are perfect for outwear and the upper ones can neatly accommodate headgear and accessories. The rack bottom opens up into a spacious umbrella stand for easy accessorizing on-the-go; you'll be less likely to forget your umbrella and get wet on the next rainy day. 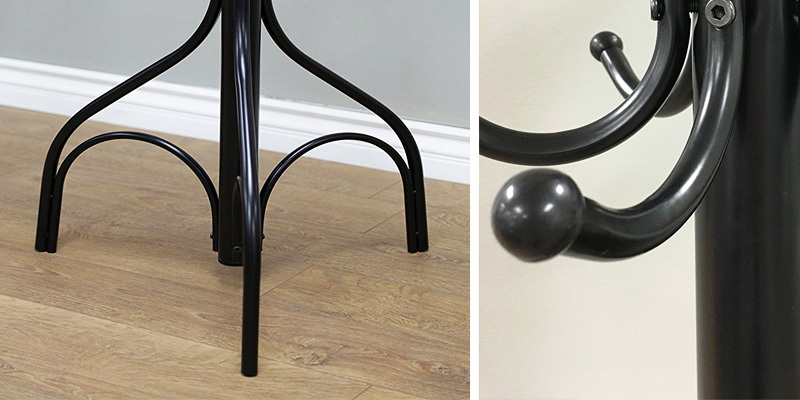 This modern coat hanger is very well built and generously sized, its legs take up to 20 inches of space but there is a good reason for that as they make the rack extremely stable. Even when fully loaded, this tree rack won't wobble at all. So, if you often throw big parties and need a large solid rack for your guests' garments, try this one. Perhaps, this is one of the most versatile models in our review. 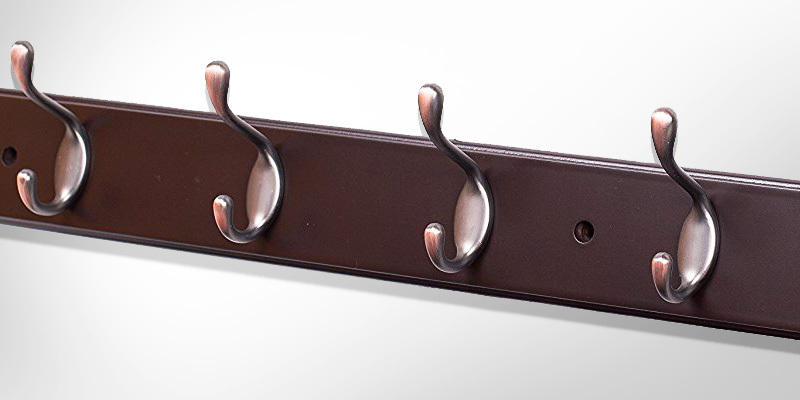 Owing to a variety of finish options and matte flip down hooks, it has a sleek modern look and can be installed literally anywhere. For example, you can mount a deep espresso rack on your entryway wall, choose a mint option for the nursery, and natural white for the bathroom. Undoubtedly, the zest of Umbra rack is its flip-down hooks that you can fold in when they are not in use. Although the rack is small enough, and the hooks might seem a bit fragile, don't rush to conclusions. The hooks are very durable and can hold up wet towels, clothes, and even multiple heavy winter coats. 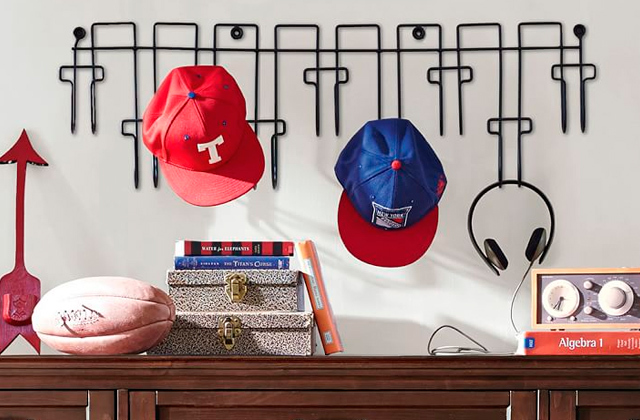 The rack is available with 3, 5, or 8 hooks in total, and it's a pretty nice idea to buy different ones and mount them all around your house. 3-hook rack on the kitchen wall will work perfectly for oven gloves and kitchen towels, 5 hooks in a bathroom will work well for clothes, bathrobes, and towels, and 8-hook model will help you conveniently organize your and your guests' outer garments. 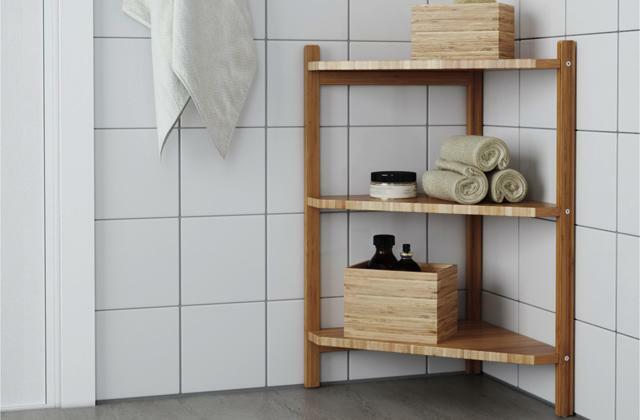 Umbra rack looks very expensive and classy, and is the best pick for houses with modern decor! Like theater begins at the cloakroom, your house begins at the entryway. 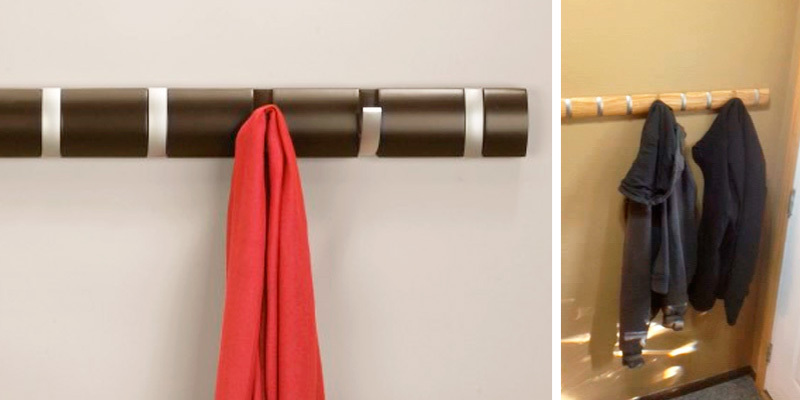 And a coat rack is one of the pieces of furniture making the very first impression. By having a quick look at a whimsical hanger stand with decorative scrolls or a hi-tech rack in a minimalist style, your guest can evaluate your home decor and your taste. Racks come in different designs and shapes, they can have hooks for clothes, several tiers, shelves for hats and bags, umbrella hooks and even small benches. Door chime or bell can meet your guests with a cheerful melody, while lava or salt lamp on your coffee table will show that you capture the style that is all the rage now! 1. Jan Czech How to Decorate a Hat/Coat Rack, SFGate. 2. Nat B How To Select the Perfect Coat Rack, Housely. April 2016. 3. Lygeia Grace How to Organize the Entryway, Real Simple.